Professor Hatcher has instructed courses in geography and anthropology at TSJC since January 2015. 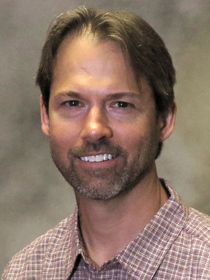 His teaching background includes leading wilderness courses for National Outdoor Leadership School (NOLS) from 1997 to 2007, Colorado Mountain College in 2006 and 2007, as well as teaching geography courses for Alaska Pacific University and Mat-Su College in 2003 and Blackburn University in 1997. As a Peace Corps Volunteer, he taught geography at an all-girls boarding school in Tanzania from 1994-96. As a pilot, he has flown bush planes in Alaska, Kenya, and around the western US. In addition, his mountaineering adventures have taken him to the Europe, Central America, Alaska, the Rockies, and back to Africa. He is also a writer and the author of two books (so far! ): "The Marble Room" and "Principles of Flight." Professor Hatcher holds an MA in geography from SIU-Edwardsville, a BS in Biological Sciences from SIU-Carbondale, an AA in music and an AS in biology from Lewis & Clark College, as well as a Graduate Endorsement in Anthropology from Adams State University. He lives in the San Luis Valley with his wife Kim and their cat, Mitts.